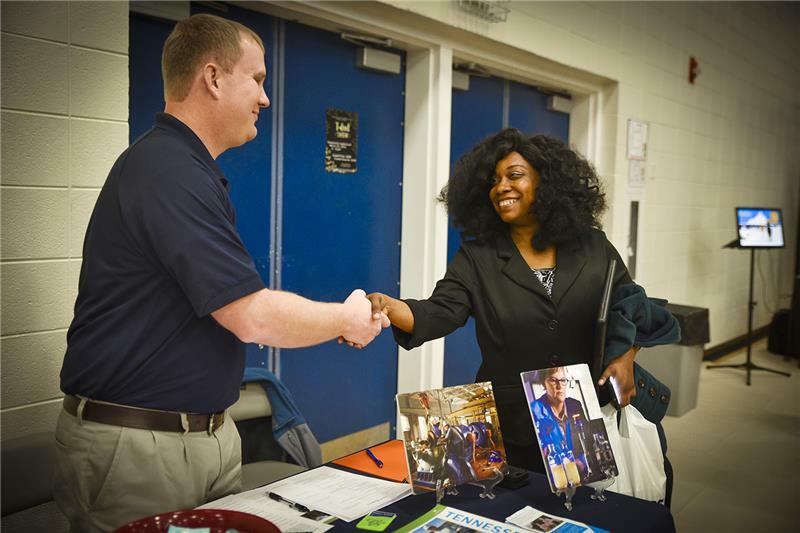 As a new semester begins, Career Services at Chattanooga State Community College once again jumps into action to provide guidance, planning and opportunities to the students that the college serves. Both current Chattanooga State students and alumni will find that Career Services provides a variety of services to help them explore careers related to their major, prepare for a job, and assist them in making sure they make a good impression during that all-important interview. Services include guidance with decision-making to choose a major or career path, career assessments, job search planning, resume writing, interview skills, JOBlink (access to job or internship postings), Career and College Fairs (Mark your calendars for the Career Fair on March 22, 2018), online resources, and graduate placement data. “We also are available to make classroom presentations to students on a variety of topics such as resume writing, interview skills, job search planning, networking, career fair success, etc.,” said Stephanie Hollis, Career Services coordinator. With more than 80 vendors registered, the upcoming Career Fair on March 22 will present a prime opportunity for students to make the contacts they need to land a potential job. The office is located on the second floor of the Student Center in room 216. Office hours are Monday – Thursday 8:00 a.m. – 5:30 p.m. and Friday 8:00 a.m. – 4:30 p.m. According to Ms. Hollis, office personnel are available to meet with students outside of normal business hours upon request. For additional information, please contact the Career Services Office at 423.697.4421.